Have you ever thought of earth without plants and animals? Can you ever imagine our world without natural resources like water, fresh air, and energy sources? The only solution for this giant danger is SUSTAINABLE LIVING. 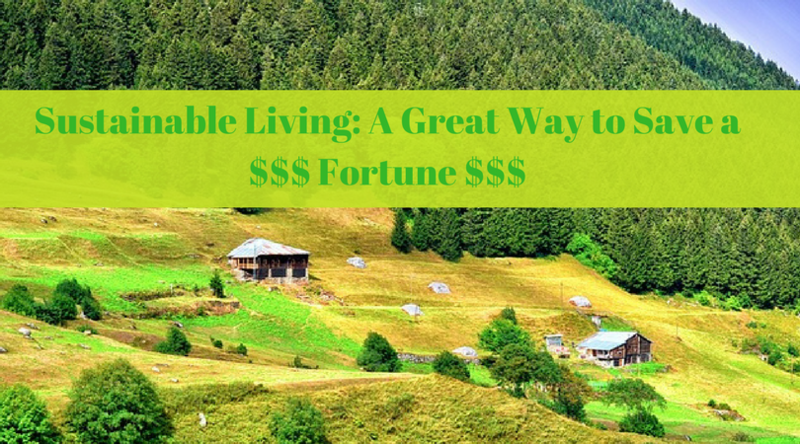 Sustainable living phrase is not something that is confined to buzzy media and international climate summits. It is a way of continuing life on earth. These days we often heard of climate change, global warming, ozone depletion, animal extinctions and their effect on human lives. These are the symptoms of the upcoming disorder. Sustainable living is a lifestyle where you reduce the use of natural resources by making sure that they will be replaced for future use. 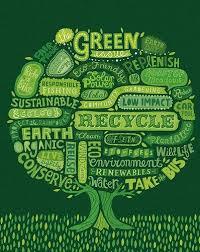 It also involves reducing the use of products which are not manufactured in a sustainable way. This lifestyle creates least damage to the environment for future generations. In other words, it can be described as living on the earth as lightly as possible without affecting the needs of our successors. Sustainable living involves reducing the individual carbon footprint or environmental impact by altering their way of life, food habits, energy consumption and means of transport which is more sustainable and nature-friendly. Nature always gives resources for our need but it cannot supplement our greed as said by Gandhi. If we want to see our children, grandchildren and their children enjoy all the resources we are enjoying we ought to make a move now. We should bring change in all sectors of our living. One should prefer the renewable source of energy by implanting solar panels in farms and rooftops for minimal consumption. Even small changes in the power consumption by changing to LED light bulbs or turning off lights, fans when not in use make home more energy efficient and reduce your carbon footprint. To become energy efficient India need renewable need share should increase from 6% in 2006 to 30% in 2031. MNRE has proposed SRISTI (Sustainable Rooftop Implementation for Solar Transfiguration of India) scheme solely to incentivize installation of rooftop solar projects in India. Under this scheme, the government provides central financial assistance for installing rooftop solar power in residential sectors.Under the scheme, customers can both import electricity from the grid and export excess electricity after self-consumption. While the maximum they pay per unit is Rs 5.50 per unit, they get back Rs 9.56 for per unit excess produced. 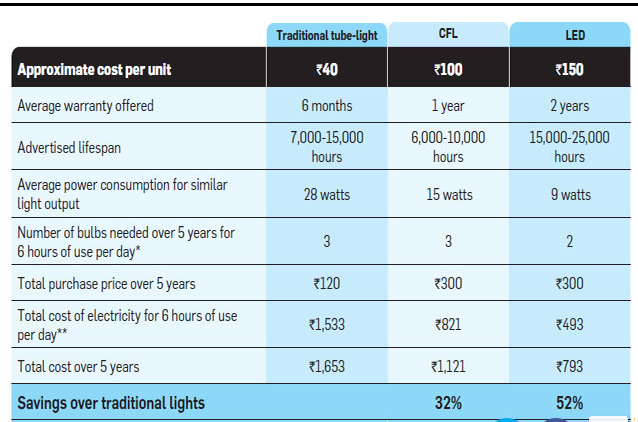 LED bulbs actually cost Rs 300-350 apiece in the market — the government offers cheaper bulbs because it procures in bulk, around 7.5 crore bulbs so far. Now LED lamps are procured at Rs 78. The additional Rs 27 that consumers must pay are due to the interest charges on financing, database maintenance, and distribution cost. This usage of 2 crores LED in different states alone saved us 2.71 crores a day. Choosing by walk or bicycles for short distances instead of two wheelers and four wheelers which emit high carbon emissions. Choosing fuel-efficient or hybrid cars instead of diesel four-wheelers. Avoid rash driving on roads which reduces the vehicle mileage by 33%. Preferring public transport than individual vehicles are some of the best sustainable ways. This reduces both individual cost and social cost. Sustainable food choices involve vegetarian choices more which grow organically and nature-friendly. Buying seasonally and locally available food will reduce pollution effects. By preferring organic food we somehow can slow down the use of pesticides and herbicides which causes land, water, air pollution and sometimes they kill human-friendly organisms also. Efficient use of water in farms, irrigation and in manufacturing sectors is also part of sustainable living. The principle emphasizes the need to advance good water utilization practices by designing water management systems that can deal with issues such as flooding, water wastage, and protection of water sources from pollution or destruction. In Bangalore, Infosys has installed 100 water meters in its campus. There have been 12% reduction per capita water consumption across various campuses of the company where these were installed. Water consumption, he said, was 25 liters per person per day, (16 liters fresh water, and 9 liters recycled water). Even though flood management one can save a lot of money by rescuing the areas from floods and reusing those water for irrigation in drought seasons. All the above things seem so simple but by practicing this lifestyle by everyone improve the quality of living of our children. 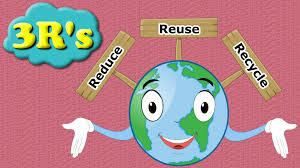 This Sustainable living will be successful only with the 3 R formula – Reduce, Recycle and Reuse. Human wants are infinite we cannot reduce the usage of some non-sustainable goods which became part and parcel of our lives. In that case, one can reuse products to minimize the additional waste to landfill. Some materials like glass, paper, plastic, metals, and wood can be recycled and made into secondary forms with some value. Go digital instead of using paper, turn green waste into compost. If you go through a $7 case of bottled water every week, that’s $364 per year for something you could get out of a tap for less than $1. Invest in a $17 reusable water bottle instead, and it will pay for itself more than 20 times over in its first year of use. At the same time, you’ll keep more than 1,200 disposable plastic bottles out of the waste stream. Make use of scrap in all ways possible through simple yet effective. This point of time one has to make use of science also to meet the changes of water shortages, climate change impacts because of extreme weather events, ocean acidification and loss of ecosystem services. Mr. Sunil Rathi is an assiduous, inquisitively power electronics engineer with an exceptional Sales and Marketing knowledge backed by a degree of MBA. 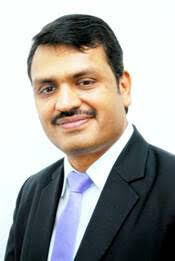 He has a robust record of expertise acquired over 24 years in Solar Energy and Power Electronics Industry. His proven strategic vision facilitated by the firm establishment of the brand and himself as a stalwart in the solar industry. P.S: If you’ve enjoyed reading this article, please put down a few words of encouragement below. 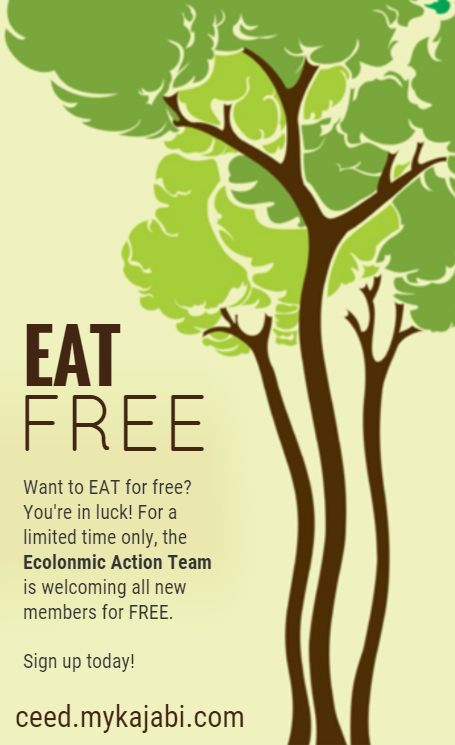 for more learning opportunities, please join our EAT FREE Community, where you can make some money making the planet better.